The 360° Mall is at the time of writing the newest facility of its kind in Kuwait, having opened to the public in July 2009. Its top floor is home to Infunity Zone, a medium sized family entertainment centre with a good selection of rides, including the Gerstlauer-built Spinning Coaster (#1607). Though it pains me to say it, this coaster really isn't one of the finer machines to come from the Münsterhausen stable. Our car managed no more than one complete revolution over the entire course, a journey which felt both sluggish and uninspired. Having said that, we were almost certainly the first dispatch of the morning, so the mechanism may not have warmed up fully. Your mileage may vary. The brightly coloured facility also features a number of other family rides and a plethora of arcade machines; nothing particularly special but worthy of half an hour nevertheless. Enthusiasts should be aware that the opening hours for Infunity Zone don't match those of the shopping mall. Rather than publish something here which will quickly become obsolete, I'd encourage future visitors to do their own research ahead of time. The entrance to Cartoon Network World bears more than a passing resemblance to an emergency fire escape, with only a small sign at roof height to show that there might be a FEC within. Once through the door, however, we found a surprisingly large facility, full of bright colours and flashing lights. Ben 10 (#1608) can be found just inside the front door, allowing self-conscious enthusiasts to get in and out quickly. A certain amount of circumspection is required for any adult to buy a ticket for a coaster with a height differential of no more than ten feet, but those that do will be rewarded with a surprisingly fun ride with a helix that weaves in and out of an artificial mountain facade. 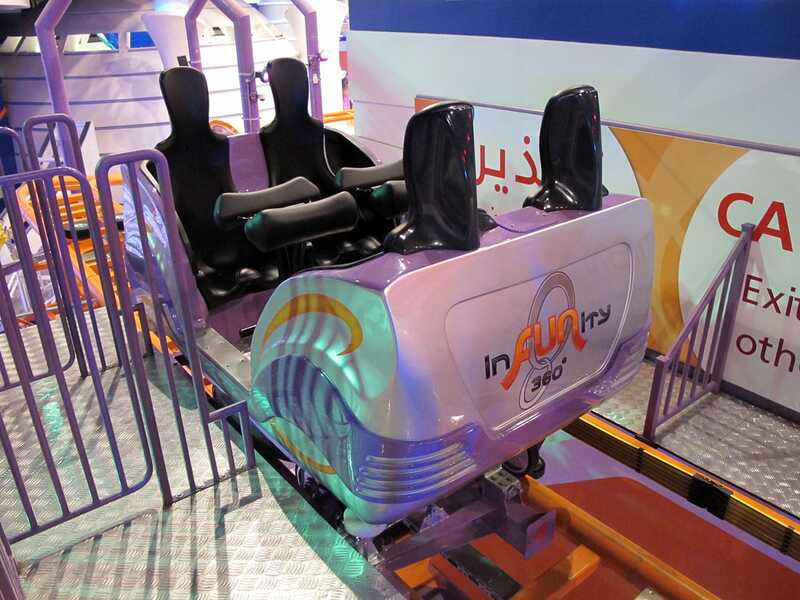 Future Kid is a chain of seven family entertainment centers that can be found all across Kuwait. As with many groups of this type, the ride list at each location varies. Rather than track down all of them, we elected to head for the one location known to have a roller coaster, that being the branch within the Souk Salmiya. 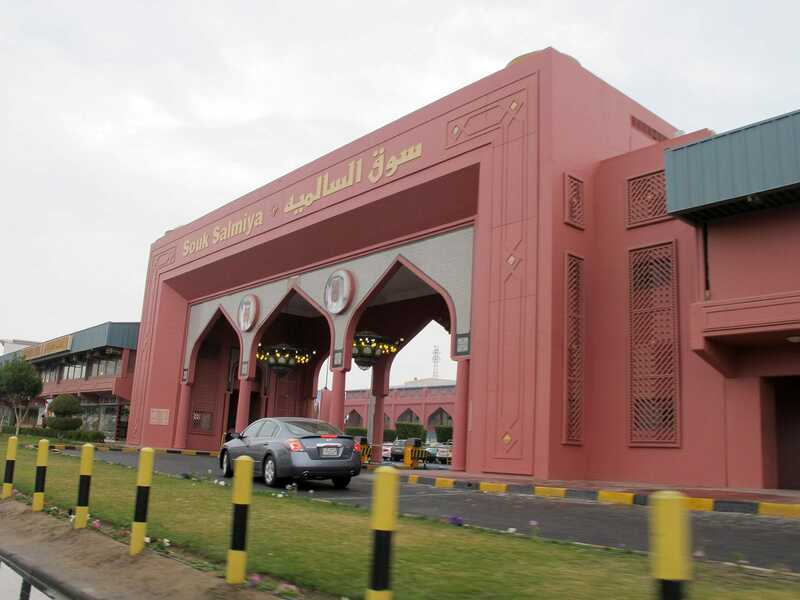 This particular Souk is a massive facility, and if you enter from the wrong side of the building (we did) you can count on a five minute walk through a large department store before you get close to somewhere where there might actually be amusement rides. The correct entrance is pictured below, though good luck trying to find the proper access road to get there! We'd been expecting to find a powered coaster here, but it was gone. Its replacement turned out to be a shiny new L&T Systems Family Coaster (#1609), painted in a rather unusual colour scheme; a luminous yellow base frame supporting dark red track. L&T seem to be the current masters of small coasters, and this installation proved no exception, giving a thrilling experience far beyond what the ride statistics might have suggested. We arrived at Marah Land Sabahiya a few minutes after the posted opening time to see not much happening. 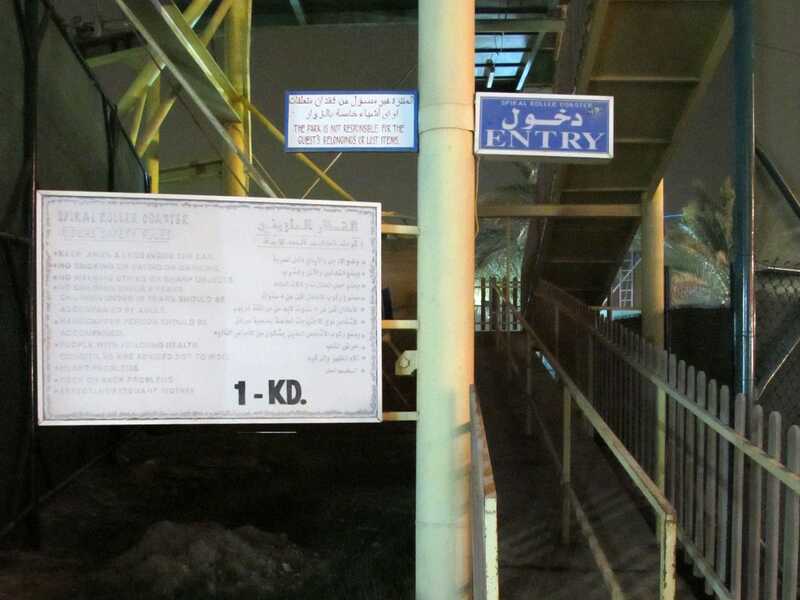 Sure enough, the operations manager spotted us as we approached and told us in broken English that the rides were closed due to rain, but we could walk around the park for free. We decided to do just that, finding a very pleasant and clean park, marred only slightly by a slight dusting of sand that seems to be obligatory on everything in Kuwait that isn't under a roof. After an hour of pondering what sort of irritating fate would leave us rained off in the desert, we managed to track down a staff member with good English. He told us that the Ultra Coaster had been closed for around two months following a breakdown, but that the other rides could be opened if there were customers for them. Sure enough, he made a radio call for an operator, and lights came on on the Nessi Coaster (#1610). With this ride complete, we returned to our rental car. We had a bit of spare time before our planned return to the airport, which we elected to use with a return visit to Al-Sha'ab Leisure Park to see if the Spiral Coaster might be back in action. It wasn't much of a surprise to find it dark and silent, with barely perceptible faded paintwork on a sign that presumably once said something about the ride being closed for maintenance. It seems unlikely that this coaster will ever run again. Rather than repeat an Arrow Corkscrew, we elected to finish the evening with a journey on the Haunted Castle dark ride. As with our last visit this had to be started up specially for us, indicating that the omnimover system may perhaps be excessive for the clientele.